​Our Residential Program provides a secure, supervised living environment for adults with special needs. 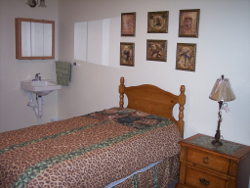 We are licensed by the Texas Department of Human Services as a type “A” personal care home. 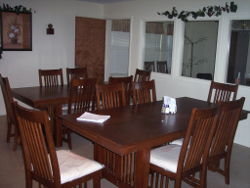 The Group Homes provide living accommodations for twenty-one individuals. The two residences are coed, with unisex wings of three bedrooms. Each home also has a common living, dining and activity area. There is a full kitchen and a washer and dryer. Each resident is provided with a private, furnished bedroom with lavatory, and satellite TV connection. There is a shared toilet/shower room in each 3 bedroom unisex wing. The Associates work with the house parents to prepare the meals and do various chores around the house. Each resident’s health is monitored and they are accompanied to all medical appointments by a staff member. Resident Associates are given the opportunity to attend the church of their choosing with transportation being provided. Once a week they are transported to a local shopping center to do personal shopping and banking. They also have an opportunity to participate in the Aldersgate Kiwanis Action Club and to go bowling on selected Saturdays. Other outside activities are also planned. The tuition fee includes home cooked meals, an individual training program, assistance with medications, personal care as needed, planned recreational activities and transportation. Goals are set in the areas of daily living skills and responsibilities, personal needs, and social interaction. The Associates have the benefit of planned recreational activities, shopping, sports, gardening, tending to animals and other opportunities. 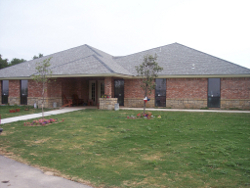 Aldersgate’s primary focus is on each Associate, while living in the homes, and or working in the Vocational Programs. This focus helps them to become self-sufficient, to know their self-worth and to develop the ability to reach their potential in all aspects of their lives. We are looking for the right people to be a part of our family and grow with us. If you would like more information about the residential program or know of someone who might benefit from being a part of Aldersgate, please call (325) 646-5608. Any questions or concerns will be addressed. Want to be an Aldersgate Resident? Click on the button below to learn how to apply to live on our campus.